Subscribe. Damnit. Almost missed those last two. 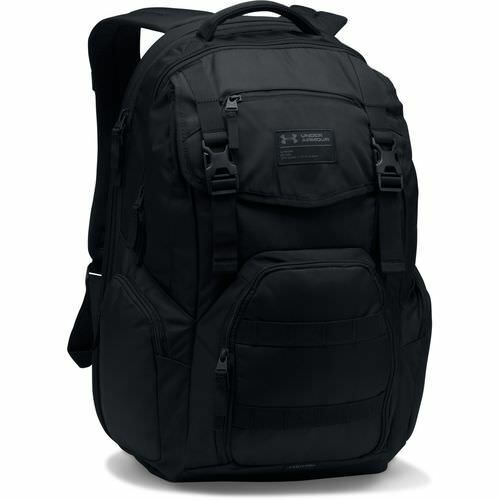 I bought one of these UA backpacks before my last two week trip home. It's a really nice bag for $20. It has a laptop sleeve. And lots of pockets. The only thing I notice is the front top pocket is only held down by two buckles. So it's like a napsack a bit. But I never had anything fall out. And if you just kept big bulky items in there you'd be fine. Normal second zippered pocket behind that. For $20 it's a GREAT backpack. Especially for like car go bags or bags you don't want to put a lot of money into. But I'd use it as an everyday carry too. You can't go wrong with this bag for $20. And Under Armour is a great company. 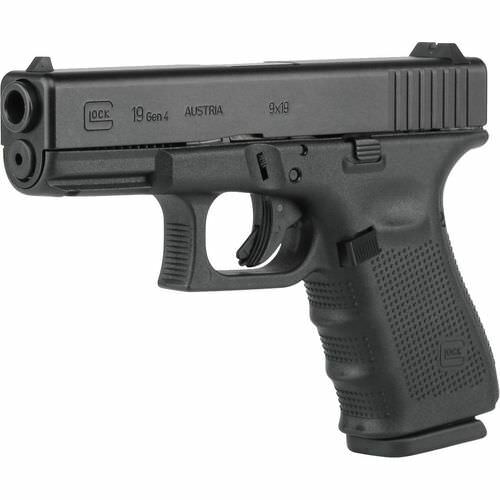 I've never seen the Glock 19 Gen4 this cheap. It's in store pick up only. Buy on the internet only. So if you have an Academy near you your set. If not your SOL. The GLOCK G19 Gen4 9x19 Pistol features a Modular Back Strap design that lets you customize the grip to fit your hand size without altering the grip angle and the Safe Action® system, which consists of 3 independent, automatic safeties that help prevent unintentional firing. The pistol is made with a cold hammer-forged barrel with a Nitration finishing process and has a reinforced polymer frame with Gen4 rough-textured technology. Accessory rail.Features and BenefitsDouble action with 15-round magazine capacityCold hammer-forged barrel with a Nitration finishing processReinforced polymer frame with Gen4 rough-textured technologyAccessory rail allows for modular mounting of shooting accessoriesModular Back Strap design lets you customize the grip to fit your hand size without altering the grip angleSafe Action® system consists of 3 independent, automatic safeties to help prevent unintentional firingMagazine has a reversible, enlarged catch that can be changed quicklyDual recoil spring assemblySpecificationsProduct length (in. ):7.28Magazine capacity:15Trigger pull (lb. ):5.5Barrel length (in. ):4.02Product weight:20.99 oz. (unloaded); 29.98 oz. (loaded)Style:PistolRifle Ammo Type:CenterfireHandedness:AmbidextrousCaliber:9x19Action:DoubleWhat's in the BoxGLOCK G19 Gen4 9x19 Pistol3 magazinesWire brush, poly rod, grip panels, lockOwner's manualImportant Product and Safety InformationFirearms purchased online are shipped to your local Academy Sports + Outdoors as selected in the checkout process.We recommend the use of protective eyewear whenever using or near the use of this item.You must be a resident of the state selected for pickup.Please note that all firearm purchases require valid US government issued ID and related firearm paperwork. That is dirt cheap! I think I paid around $600.00 for mine, But it had been upgraded & it's in factory combat brown. I want to get a Gen 5. See what life is like without the finger grooves. They say these Mora style knives are from Sweden. You can buy 10 for $3.99 each. Or one for 12 bucks. If your in the market for a large lot of Mora style knives for places that they might get stolen (car) or don't want to worry about (burying) these might be the ticket. They also sell Mora's. And it's my local surplus store. A really great place for surplus and other items. Check them out. Greatest deal there is: Free! Downloadable field manuals. Load them on your tablet and take them with you. Gerber Bear Grylls Ultimate Knife, Serrated Edge $26.99. Not bad for maybe a vehicle bag. Where you don't want to hurt cause it gets ripped off. Comes with a sheath and attache ferro rod. It's a 10" knife with a 4.75" blade. Not bad for $27 delivered. 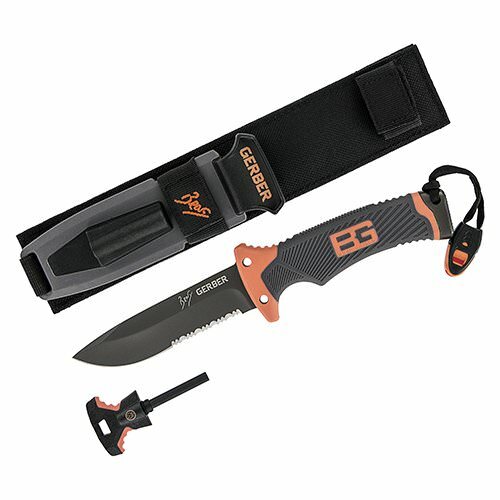 moab wrote: Gerber Bear Grylls Ultimate Knife, Serrated Edge $26.99. Not bad for maybe a vehicle bag. Where you don't want to hurt cause it gets ripped off. Not a bad way of pitching the value proposition of this knife. I own one, an early purchase before I became more sophisticated about knives. The steel is the weakest attribute; it takes an edge well enough, but requires more frequent sharpenings than any of my other knives. Pommel breakage issue that gave the original version a bad rep was addressed years ago. I've hammered and batonned with no ill effects. The sheath, firesteel and the whistle are quite servicable. Integrated diamond hone is for emergency field sharpening only; it's too coarse for regular edge maintenance. A Sharpie marker on the orange stitching and black paracord wrap on the handle go a long way towards toning down the Bear Grylls branding. Happy Father's Day to whoever wants to jump in to 300BO suppressed in a very cost effective way. If we discuss further we should probably start a BOG thread. Amazon Prime day starts July 16th. I don't really know what it means, but I guess stuff will be cheaper than the normal cheap.... You're welcome USPS!!! https://www.theknifeconnection.net/ HAs 10% off. Details on their home page for discount code. Some of the best prices on knifes at this store. 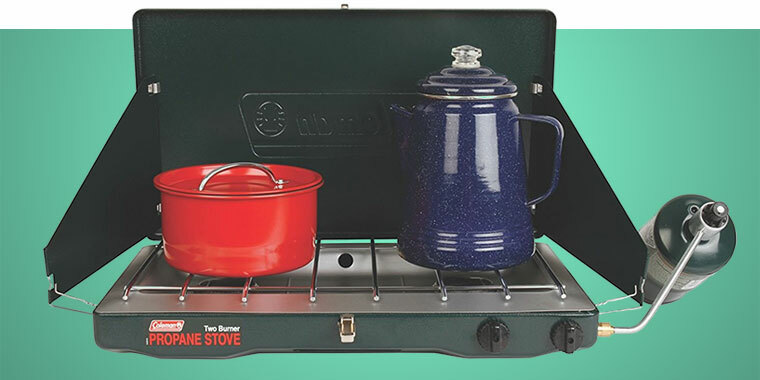 Just a basic, non-nonsense two burner stove for family camping, emergency cooking or vehicular bug outs. Coleman has made various iterations of this stove for decades now. The one I own has piezo electric ignition while this one doesn't; but I've always found that feature to be a little fussy anyways. Mostly I use one of those long necked butane lighters and call it a day. Add a regulator and hose extension for emergencies and you can run these for days off the propane tank on your gas grill. Morikniv less than $13. Out of stock but will deliver when back in stock. This is from lifehackers kinja deals. I get no kickback. $8.00 more for the same knife in orange, darn it. With me, there's two colors of emergency gear, "high-viz" and "lost". I bought some glow in the dark paracord. And put a small loop on all my things I don't want to lose. Even made up a few firesteels with the glow 550 as necklaces.